Unending fields of sunflowers in Midi-Pyrenees, rocky twists and turns in Rhone-Alps, and blue waters of the Mediterranean in Corsica await the outdoor enthusiast on a cycling holiday through Southern France. Called ‘le Midi’ locally, Southern France is made up of six provinces, including the island of Corsica, and borders Spain to the South, the Atlantic Ocean to the west, and the Mediterranean Sea to the east. 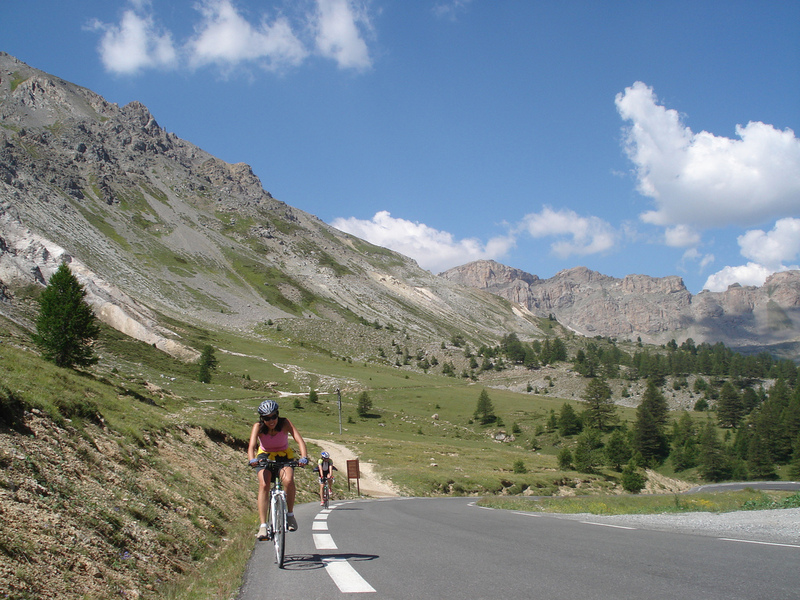 It is a vast region of dramatic terrain and rich history that is ideal for a cycling holiday. Cycling through Southern France is an experience steeped in nature and history. The terrain ranges from the Alps in the east to the vast plains of Midi-Pyrenees in the south. This is a heavily populated part of the country and most cycling tours will travel through major cities. The climate in this region is typically Mediterranean: warm and cool in the summers, breezy and cold in winters. The months from March to October are best for visiting Southern France. The eastern part, bordering the Alps, is decidedly much colder than the southern parts bordering Spain. Most cycling tours start from a metropolitan centre. Montpellier in the Languedoc-Roussillon region is a favourite starting point. There are many cycle-tour operators in the city, all with experienced guides. From here, many cyclists prefer to head east to the dramatic terrain of the Saint-Guilhem-le-Désert. With steep cliffs and gorges, this region is a feast for the senses, and an exciting leg of any cycling tour. This region also includes an ancient village that has been declared a UNESCO World Heritage site. From Saint-Guilhem-le-Désert, you can travel further east to the Lake Salagou, famous for its red clay and rocks dating back to millions of years, or head over to the banks of the River Herault and the imposing 300 metre deep Gorges de Herault. These are both fairly demanding rides. An alternative route is to head to Lauret from St. Guilhem. As with much of Southern France, you will encounter plenty of historical buildings along the way, including a 14th century stone bridge in Saint Etienne, and a 12th century church in Brissac. Most tours will loop around west to Pic St. Loup, and onward to the vineyards around the city of Nimes. From Nimes, you can head back to Montpellier. Another popular cycling route runs along the Canal du Midi in south-west France (a World Heritage site). This route is less demanding and goes through the French countryside and vineyards. This is an excellent option for wine and history enthusiasts: not only will you encounter many historical landmarks along the Canal du Midi, but also get a chance to sample some of the finest wines at the many vineyards along the way. Some tourists choose to fly into the island of Corsica where a cycling tour around the island can be arranged in the capital city of Ajjacio. This tour takes you through the rocky hillsides of the island and its spectacular Mediterranean beaches. It is best to hire a reputed cycling tour operator which will have seasoned tour guides and arrangements with hotels and vineyards for wine tastings.